Dawid Borycki is software engineer and biomedical researcher, experienced in Microsoft technologies for desktop, web, mobile and devices programming. He utilizes C#, C++/CX and .NET framework to design and build software for controlling medical devices and prototypes. This requires interfacing with devices of any sort, including: prototype boards, sensors, motors, frame grabbers, cameras, microscopes and retinal cameras. 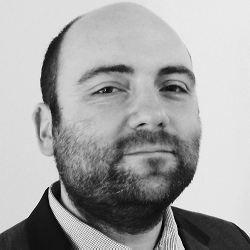 Moreover, Dawid works as a consultant, helping companies to accomplish challenging projects. Dawid enjoys learning new technologies, publishing books and articles about programming. He authored nine books, over twenty articles, several scientific papers and multiple patent applications. In his free time, Dawid enjoys running and travelling with his wife and precious daughter. Internet of Things (IoT) devices, probably unknowingly, are used every day. Such systems automate various areas as diverse as medical imaging, home automation and device control. Rapid IoT development allows one to relatively quickly build sophisticated control systems. In this presentation I will show how to implement low budget machine vision system using Raspberry Pi 2 (RPi2), USB camera, Windows 10 IoT Core, and Microsoft Cognitive Services (aka project Oxford). Firstly, I will show how to acquire and display video sequence from the webcam. Subsequently, those images will be processed to detect human faces and geometrical shapes using Windows 10 and custom image processing implemented based on OpenCV libraries. Face position as well as recognized shapes will be indicated on the LED array attached to the RPi2. Subsequently, we will integrate this system with the machine learning, capable of detecting and indicating human emotions on the analyzed face images.